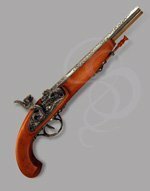 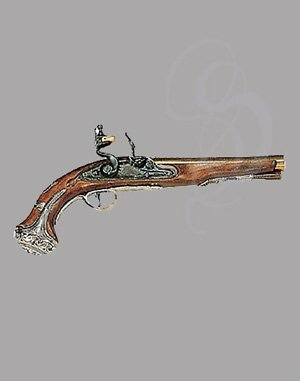 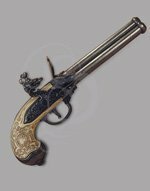 George Washingtons favorite pistol was made in London in 1748 by Hawkins, one of the best known gunmakers of the period, and it still survives as a national treasure. Elegant in its design, the gun combines simple, clean lines with tasteful silver decoration. 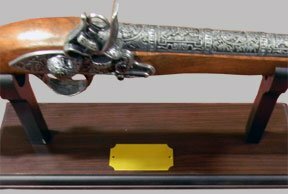 This non-firing replica has all of the features of the original, including the George Washington nameplate on the grip.